Ethereum is the best performing major cryptocurrency so far in 2018. The second-largest coin by market cap has gained 46% since January 1, compared to the overall market’s 15% drop. The global cryptocurrency market might have lost 15% — or $93 billion of value — since January 1, but not all coins have declined equally. 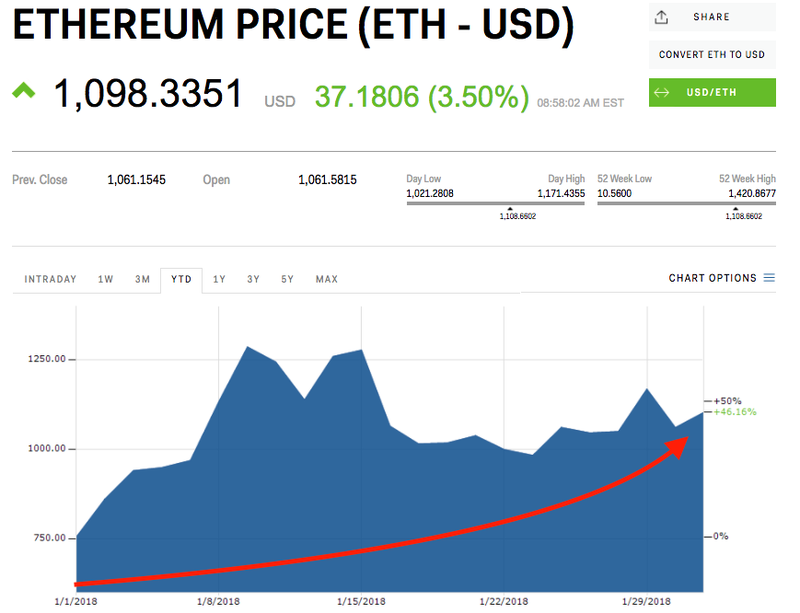 Ethereum has fared well in 2018, avoiding the drastic selling that has left other coins in the red. The second-largest cryptocurrency by market cap is up more than 46% this year, according to Markets Insider data, far outpacing bitcoin’s 25% decline.